There is an argument that you may hear about Van Norden Lake concerning the water rights that are necessary any time water is impounded by a dam in California. You may hear that the lake is “stealing” water from the people of California. There is no doubt that water rights in California are a very complicated issue. It has also become clear that the water rights attached to Van Norden Lake are also complicated. We do not pretend that we are water rights experts and realize this issue will have to be resolved to implement our Two Lake solution. It is the California Department of Water Resources that regulates water rights and there is a process for application of water rights that will have to be completed. While we are not really qualified to address the legal issues involved, in this post we would like to discuss some of the history and practicalities of the situation. 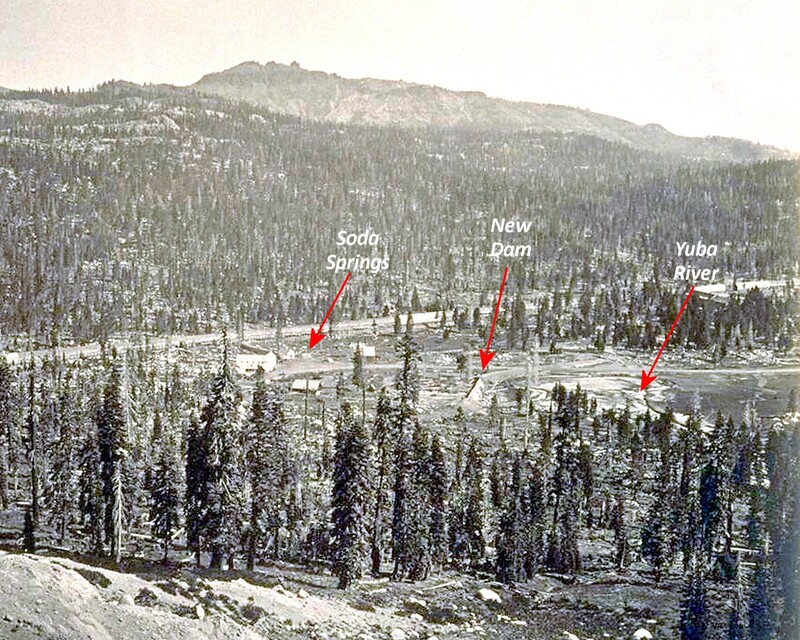 When you consider that the first dam in the Summit Valley was built circa 1870, almost 150 year ago, it is obvious that water rights were being exercised in the Summit Valley very early in the history of the state of California. The original dam was first built by the Yuba Canal Company that later became Pacific Gas & Electric. PG&E operated the dam from 1900-76 as a 24 ft high structure impounding a 5800 acre-ft lake, which they used to regulate the flow of their down stream hydroelectric plants. You would think that it would be a pretty safe assumption that they had the rights to that water, but it turns out that even those obvious water rights are a little muddied. 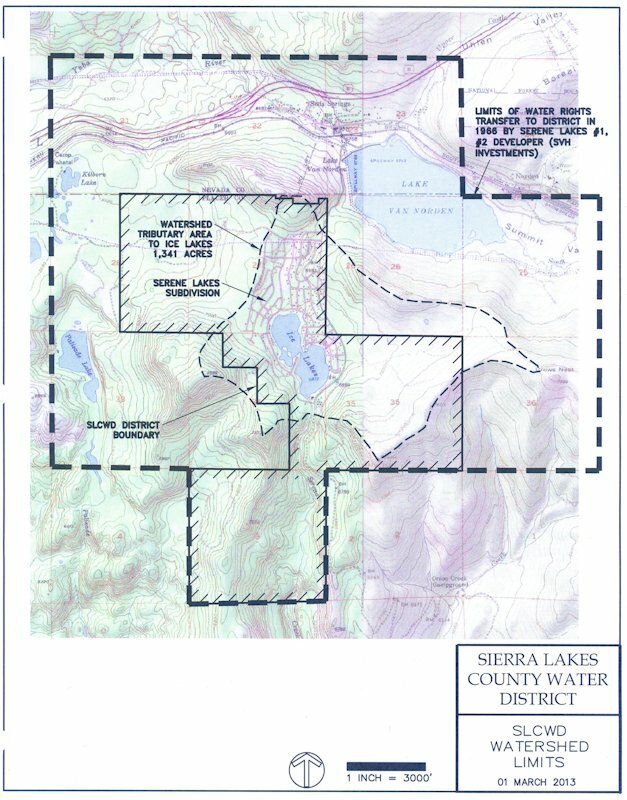 When the Truckee Donner Land Trust (TDLT) acquired the land and offered to sell is to the US Forest Service, a deed was discovered from SVH Investments (developers of the Serene Lakes subdivision) that claimed all the water rights in the Summit Valley (Figure 1). 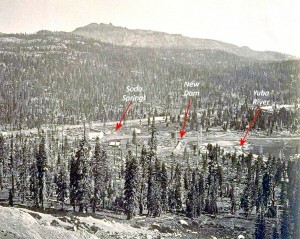 This was in the mid 60s when PG&E was still maintaining Van Norden Lake and obviously must have had the water rights, but this deed was enough to “cloud” the issue for the Forest Service.. Why this deed was granted with this claim is beyond us, but this little hiccup required that the Sierra Lakes County Water District (SLCWD), who had inherited the SVH water rights, did a transfer of their theoretical rights to TDLT in 2013 for $10,000 (see p61 of the SLCWD information packet). This is just an example of how complicated water rights can be. 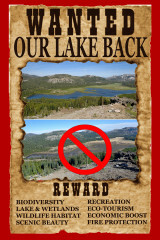 It is still not clear to us what exactly happened to the water rights to Van Norden Lake after PG&E sold the lake parcels to Royal Gorge and what the status of those rights are currently. We assume that those rights transferred with the property and that TDLT does currently have them. 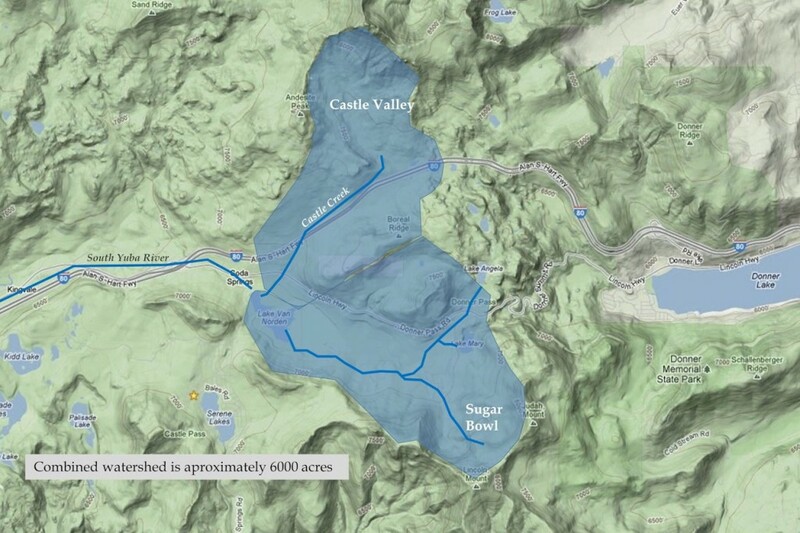 While the SVH claims were apparently unsustantiated, it is interesting to contemplate that if they were valid, SVH then SLCWD and now TDLT would actually have all the water rights for most the Summit. The amount of water that would be sequestered represents a minuscule amount of the total water going down the Yuba. Moreover, that is only about .1% of the size of Lake Spaulding which impounds the majority of the water in the South Yuba watershed. 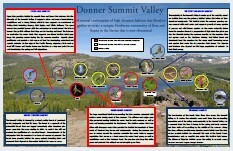 It does not seem unreasonable that the Summit Valley and Van Norden Lake and its surrounding wetlands as well as the thousands of residents and visitors to the area (both human and fauna) should have the right to a small portion of the water that naturally falls on it. The Summit Valley is also part of the state of California and while it contributes much more that its fair share of water to the state, it should not be denied the tiny amount that will preserve the valuable habitats that it now enjoys. must truly not understand the delicate balance of nature at Van Norden meadow/lake. I have seen golden eagles nest near the lake as late as 2012. The trees they were nesting in have now been logged. Where will this end? My people entered California on horseback 100 years ago ( my uncle was sheriff of Los Angeles County for many years, again patroling the San Fernando Valley on horse back). Will we leave anything of the wilderness for our children and grandchildren’s generation? The selfishness of the present generation seems to have no end and no shame.